Eliminate unwanted odors and freshen rooms with this 4 oz. fragrant Room & Linen spritzer. 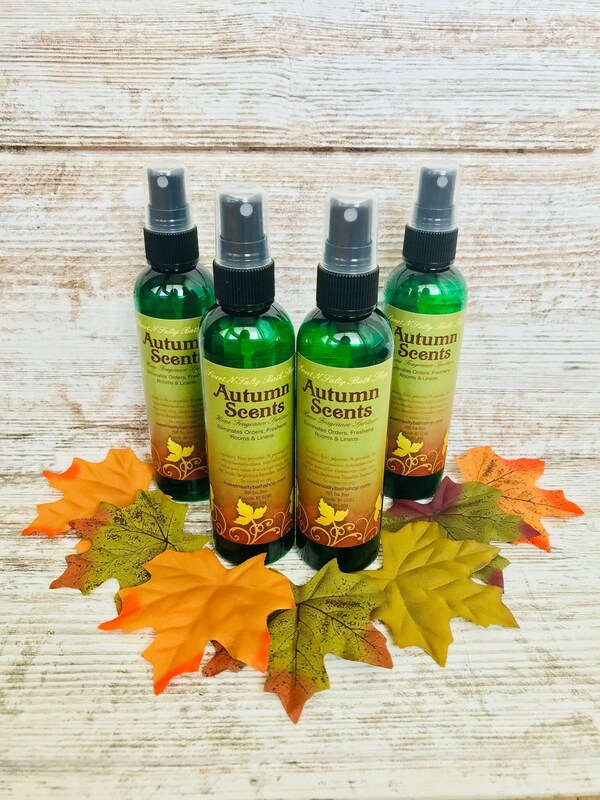 Long lasting scent with No harsh chemicals or fumes. Only 1-2 pumps freshens an entire room! This product actually eliminates odors unlike aerosol sprays that just temporarily masks odor. 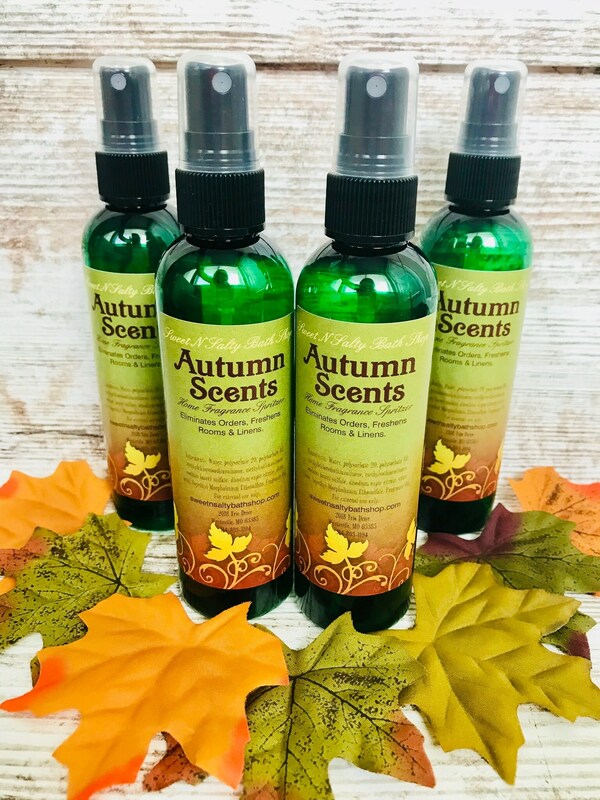 This handy, decorative bottle is perfect for bathrooms, kitchen, office, classroom, closets, car...Just spritz anywhere that needs freshened up! 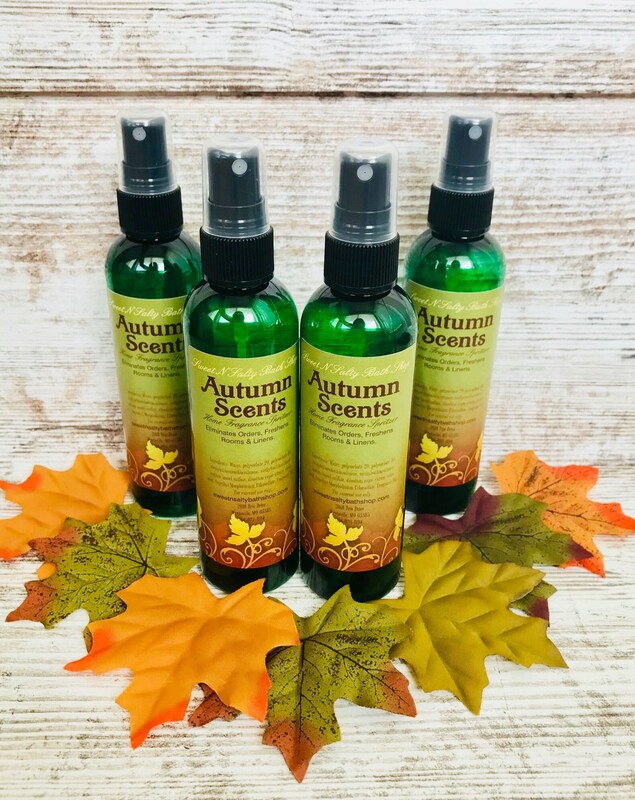 Autumn Magic-Top notes of lemon and Apple, followed by middle notes of cinnamon, anise & ginger on base notes of vanilla, mahogany woods & musk. Fireside-warm spicy scent with a touch of herbals over woodsy notes. Thanksgiving-Blend of sweet potatoes, nutmeg, pecans, vanilla & melted butter. Visit, like, and follow us on Facebook and Instagram for new products, coupon code, giveaways and more!